The Arab American Institute approached FN Creative Console to rapidly build Palestine Is. as a response to the Trump administration declaring Jerusalem the capital of Israel. 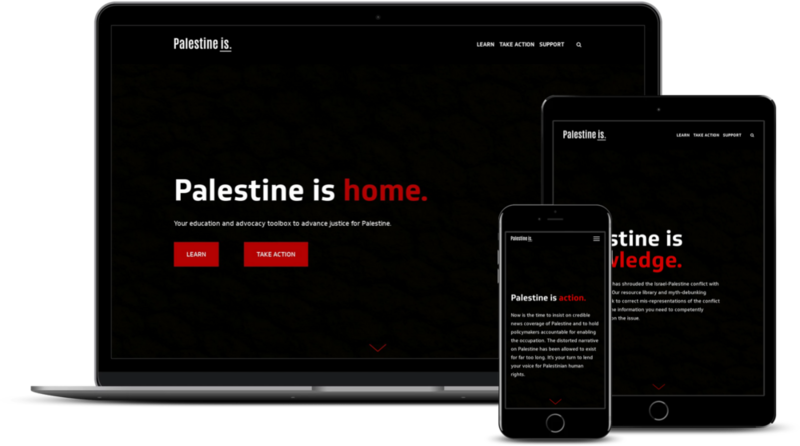 It was imperative to build a site that not only simply and effectively communicated knowledge and action steps, but also one that reflected the strength and resilience of Palestine. The design features a bold logo and color scheme to do just that. In addition, while simple, the site concisely communicates the reality of the Israeli-Palestinian conflict while providing tangible action items, with built in mechanisms to grow and expand the knowledge base and action items. While AAI has chosen to table Palestine Is. as a future project, the site is viewable at the link below.